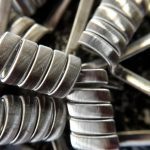 The Framed Staple is part Staple and part Tricore Fused Clapton so it belongs in both coil families. 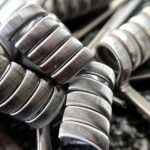 If you can do a Tricore Fused Clapton but want to venture to something a little more complex, this is your build. 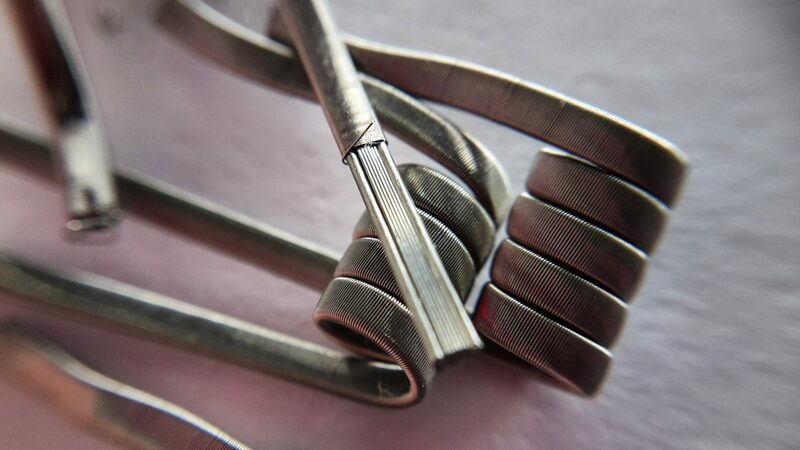 This is also the first step in being able to do a Staple Coil build. 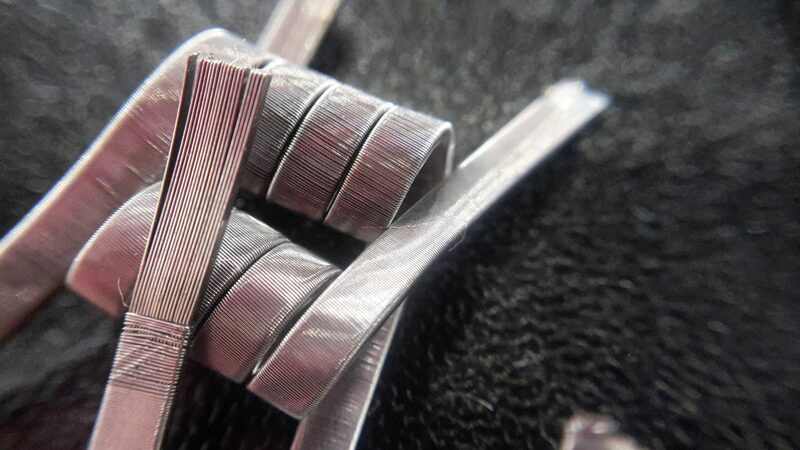 The way this build works is by having ribbon wire stacked in the middle, then framing it wire round wire of the same size on either side of the ribbon, then claptoned together with an outer wire. 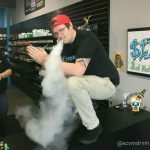 If your looking for quick ramp time, good flavor and also a decent cloud to go with it, this is your build. 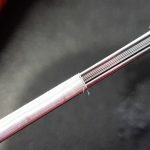 To properly do this build you will have to match up the right gauge round wire with the right gauge ribbon wire. 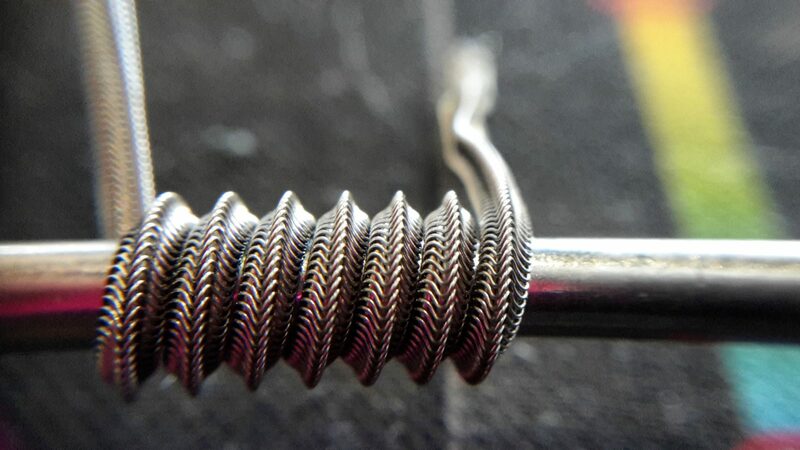 I normally use 26g as my tricores and for most of my comple builds so if you check the height of a piece of 26g, it is .4mm tall. That would mean that you would use .4mmx.1mm ribbon as your inne staple. 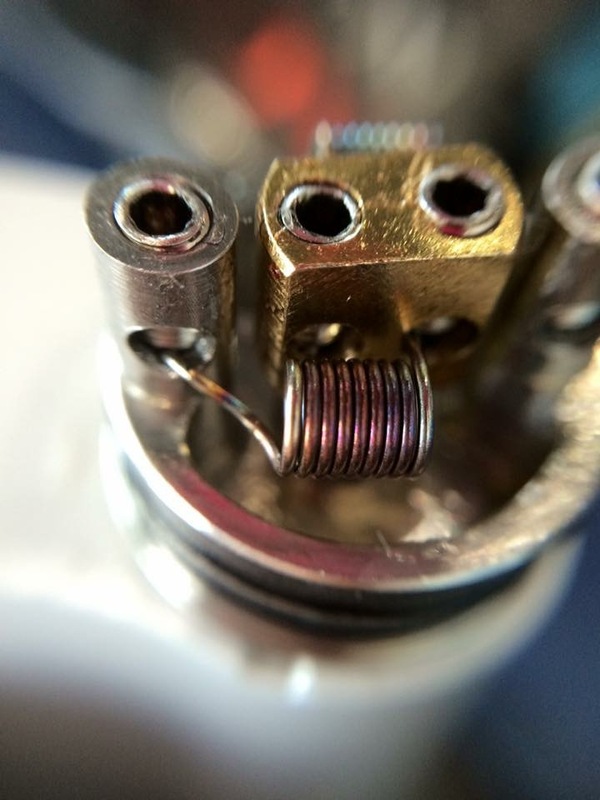 Also, if you wanted to make it the same size as a Tricore Fused Clapton than you would use 4 pieces of .4mmx.1mm ribbon in the middle with a piece of 26g on both sides. 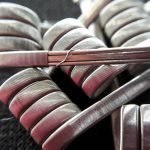 Most of the time you will want to use between 4-8plys for your center, if you want to be able to run dual coils since these will ohm lower. 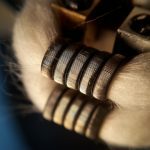 This build in particular is one i absolutely love to put in mechanical and squonk mods because of how responsive and fast the ribbon heats up with how well the round wire holds heat so it makes a perfect cloud build with some great flavor. If you are a trickster or cloud chaser, this build will definitely do good for you because it produces a dense cloud quickly!